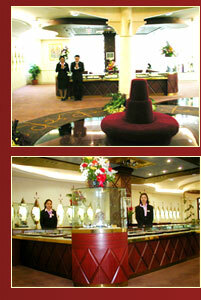 Your travelling experience in Bangkok will never be complete if you don't visit the Jewelry shops. Yes, Thailand is known for its magnificent jewelry and gems. 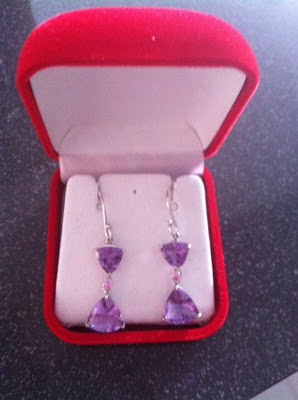 In fact, Ruby, Sapphire and other gemstones have historically been mined in Thailand. When in Bangkok, don't be fooled by the tuk-tuks or other travel agencies, they normally take you to the touristic and expensive Jewelry shops. Bought this in Gems Productions Co., Ltd. I have been to a lot of Jewelry shops in Bangkok but so far, the best jewelry shop that I have been where the staff are so professional and not this "buy, buy, buy" mentality is the World Crystal Co., Ltd.
One of the world's most expensive Chandelier made of Amethysts, Rubies and Pink Sapphires. Can you believe this cost 1,200,000 USD?? ?